TUCSON, Ariz. - As downtown Tucson continues to expand, experts say they want the developments to be sustainable and environmentally friendly. 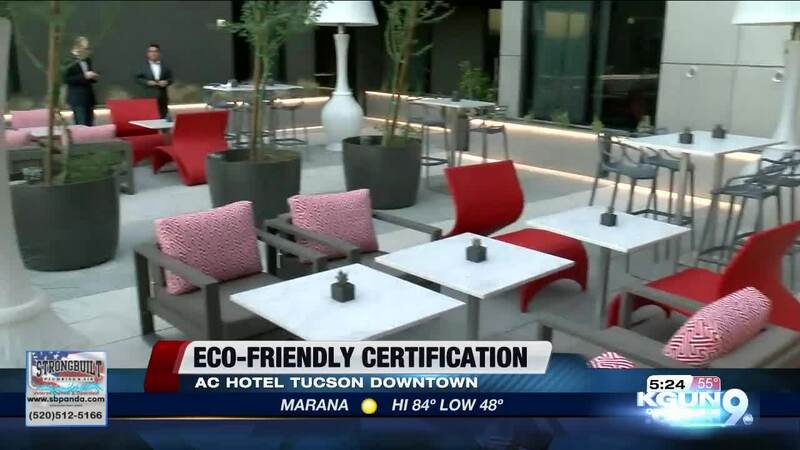 The AC Hotel Tucson Downtown was just awarded a certification for Leadership in Energy and Environmental Design, or LEED. During construction unused products were recycled and power usage was strictly monitored. The hotel also has HVAC systems in place, LED lighting, recycling throughout the hotel, low flow water systems, and several other environmentally friendly features.